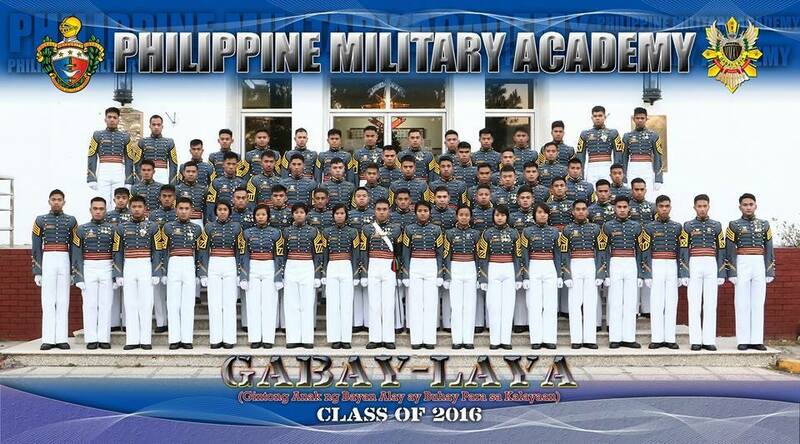 List : PMA Class 2016 Topnotchers, Isabela lad #1 Spot - Exam News, Reviewer, Military Career, & Everything [MN] . . The Philippine Military Academy (PMA) has released the names of the top 10 graduates of the PMA Class of 2016. Getting the No. 1 spot is Cadet First Class Kristian Daeve Gelacio Abiqui, native of Minanga Sur, San Pablo Isabela. Abigui will receive Presidential Saber. At No. 2 is Cadet First Class Christine Mae Naungayan Calima. She is a resident of Bolinao, Pangasinan. At No. 3 is Cadet First Class Arby Jurist Azman Cabrera, native of Tagaran, Cauayan, City, Isabela. At No. 4 is Cadet First Class Joseph Stalin Abara Fagsao of Poblacion Sur, Maddela, Quirino. At No. 5 is Cadet First Class Jayson Jess Ananayo Tumitit from Pacdal, Baguio City. At No. 6 is Cadet First Class Mark Joseph Cabanit Daria, native Bangar, La Union. At No. 7 is Cadet First Class Ace Uy Clarianes of Libmanan, Camarines Sur. At No. 8 is Cadet First Class Prince Regodon Aday ng Sta. Cruz, Davao del Sur. At No. 9 is Cadet First Class George Bernard de Guzman Garcia, local of Labrador, Pangasinan.